Uzbekistan has signaled willingness to invest in Iran's petrochemical projects especially in methanol-to-olefin projects, a senior petrochemical official says. Reza Norouzzadeh, Managing Director of the National Petrochemical Company (NPC), said Uzbekistan is keen on investing in areas that enjoy vast gas reserves while having easy access to high seas like Iran. Following a meeting with Alisher Sultanov, deputy Prime Minister of Uzbekistan, in Tehran, Norouzzadeh said Tashkent is also interested in investing in petrochemical projects in Iran. "A representative from NPC and a representative from Uzbekistan have been designated for pursuing planning of the investment," the official who is also deputy petroleum minister for petrochemical affairs further added. 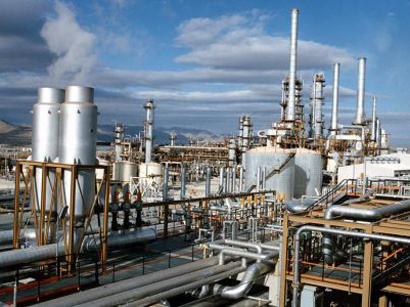 Iran will pitch its petrochemical projects to Uzbek investors for carrying out appraisal studies on the schemes. The official further said that Uzbekistan is mostly keen on financing methanol-to-olefin projects in Iran.